The American Red Cross was organized by Clara Barton, who volunteered as a nurse during the Civil War and helped search for missing Union Army soldiers. She knew first hand what it was like to provide assistance during a disaster. The American Red Cross still mobilizes when help is needed in any part of the country and also helps the needy, supports members of the military and their families, and provides international relief, among other things. The American Red Cross provides training in CPR, first aid, disaster response, and emergency preparedness. Individuals, groups, and professional rescuers can take classes in any of these areas, as well as in babysitting, nurse assistant training, and family care giving. Anyone with a desire to help others can train to respond to disasters. Medical professionals can help tend to trauma patients or deliver babies. Other volunteers can help with a blood drive or deliver messages to Red Cross personnel. 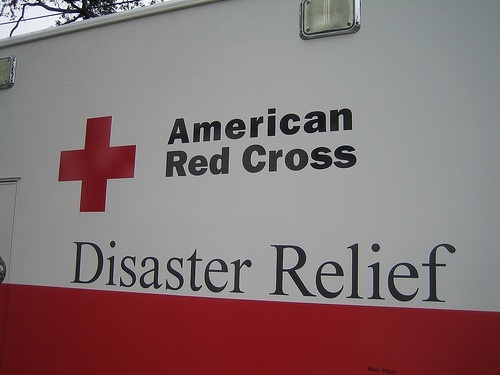 The American Red Cross provides direct assistance, also known as “hard assistance,” which includes food, shelter, first-aid kits, and other types of relief. 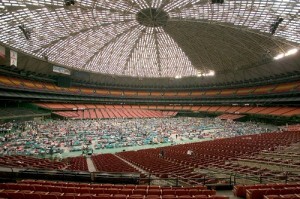 During disasters, the Red Cross opens shelters where people can gather if their homes have been destroyed. Trained interviewers will meet with families in affected areas to determine what they need, whether it is food, financial assistance, or communication with other family members. Nurses from the Red Cross can provide first aid to victims. The organization can help victims with financial assistance for medical needs, and runs blood drives to provide blood products to those who need them. Red Cross workers in the Disaster Mental Health Services division can work with victims of a disaster or emergency workers to help them recognize emotional distress and deal with the aftermath of an emergency. Whether a victim is searching for family members or needs financial assistance to recover his or her physical property, the Red Cross can help. The organization can help educate adults about helping children recover from traumatic events and can provide counselling for every family member. When there is a blizzard, an earthquake, or another disaster, the Red Cross mobilizes to set up emergency stations for victims in the affected communities. Although bad weather can hamper assistance efforts, the Red Cross does its best to continue to provide relief when it is needed. To ensure that all the members of the community are assisted, Red Cross staff will canvass neighbourhoods to provide relief supplies and information about disaster recovery. The Red Cross can also provide information to help victims respond safely before disaster strikes. In areas where evacuation is necessary—before a hurricane, for example—Red Cross members can help residents safely out of their homes. They can also provide information to victims who are returning to their homes after a disaster such as a flood or a hurricane. The Red Cross supports military staff stationed around the world. Members of the organization assist military families if evacuation of an area is necessary. They provide canteen services, register passengers, and make sure they have all the necessary military clearances to leave an area. They even help families into the departing aircraft (or other form of transportation). 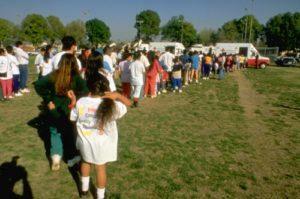 Upon arrival to the United States, Red Cross volunteers immediately provide the victims with food and other necessities. The American Red Cross responds to more than 70,000 disasters every year, and 96 percent of its workforce is comprised of volunteers. The American Red Cross website provides preparedness information for any kind of disaster, from a hurricane to a pandemic flu. If a disaster strikes, the American Red Cross provides mobilization and disaster response, whether nationally or internationally. The Red Cross emphasizes the importance of being prepared and safe during disasters. Sonia Banfield the author of the “Disaster Relief – Mobilizing the American Red Cross” teaches nursing courses and is a content contributor for education sites. Today, nursing jobs are highly sought after by men and women thrown back into unemployment lines by a down economy. Sonia feels that give back careers such as medical assistant jobs and nurse jobs are even more important during tough times.